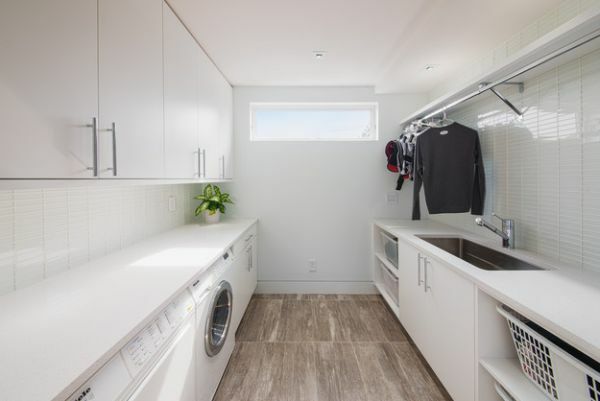 When planning for a new home or thinking about renovating the existing one, the idea of a laundry room is not something that comes to our mind instantly. 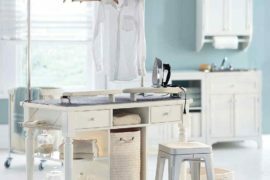 In fact, for most of us it is an afterthought that rarely materializes into reality. 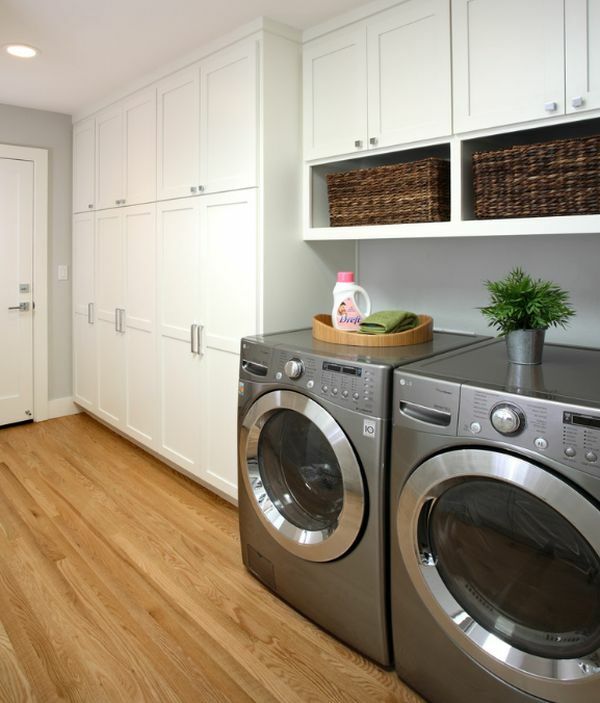 But having a dedicated laundry space has plenty of advantages and you will soon realize that it makes your life a lot easier as well. 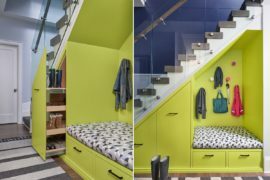 Obviously, if you have the space to spare, then it is an absolute must for a complete modern home. 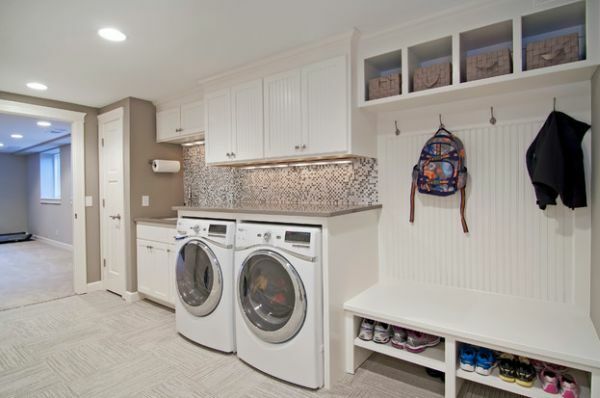 One of the biggest benefits of having an exclusive laundry room is most definitely all that additional storage space that comes along with it. 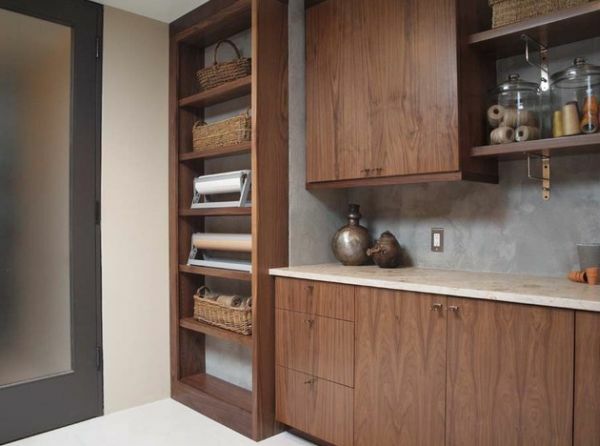 Shelving and storage in any room is all about utilizing the available space to the hilt. 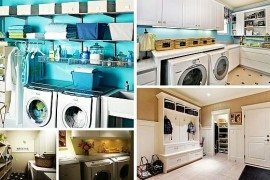 Here are some lovely inspirations that will help you plan for your own laundry room as you decide on the kind of shelves that work best for you. 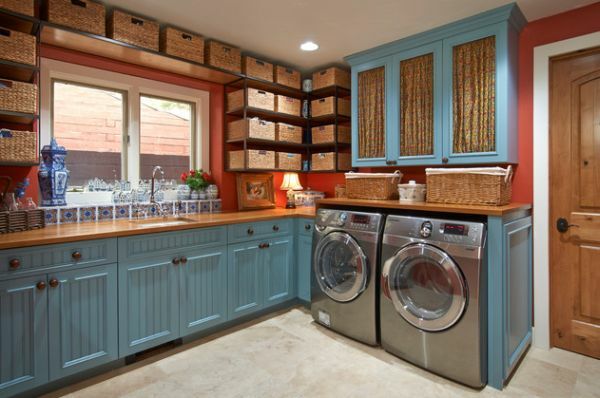 Floating shelves and colorful baskets light up the room! 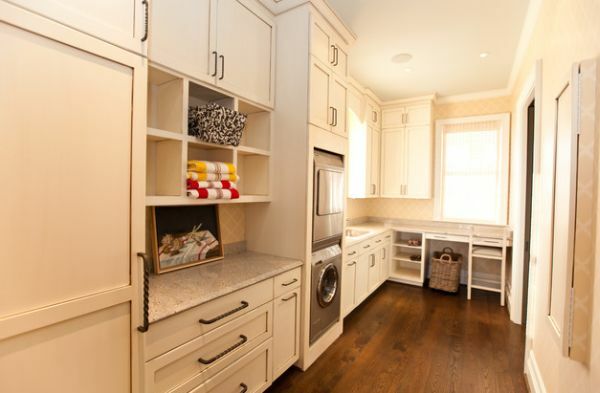 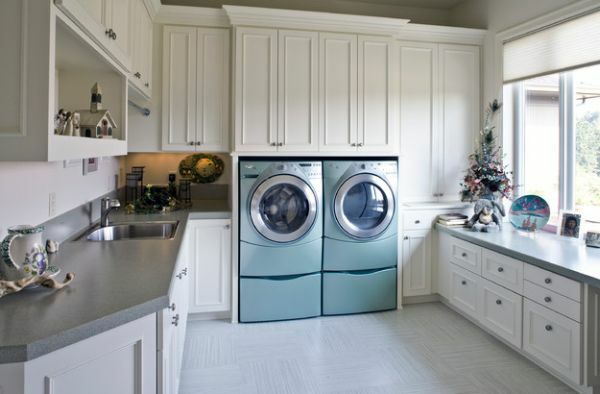 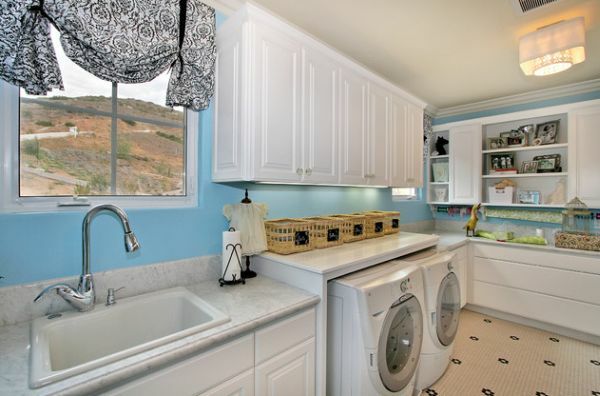 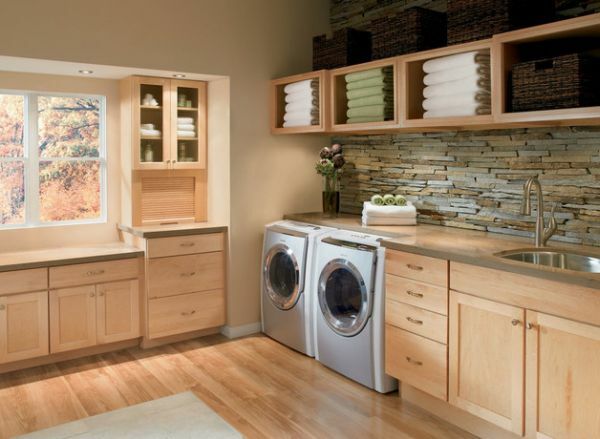 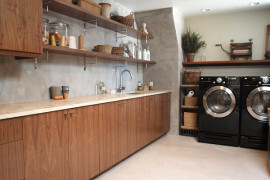 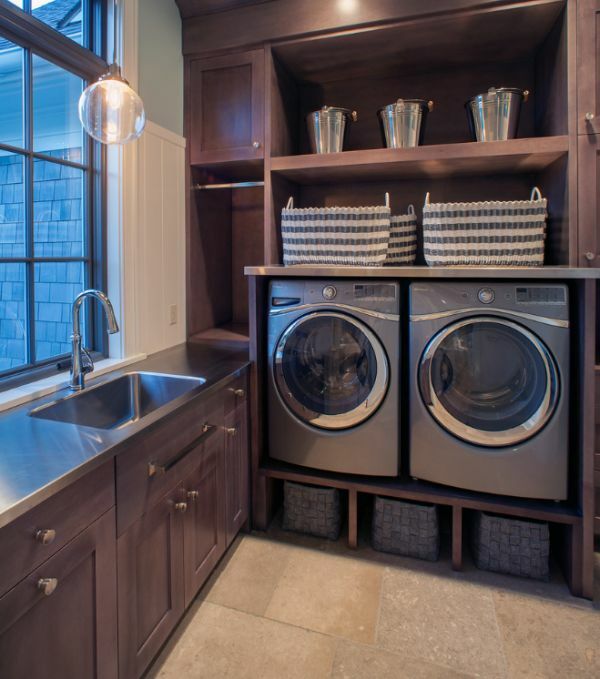 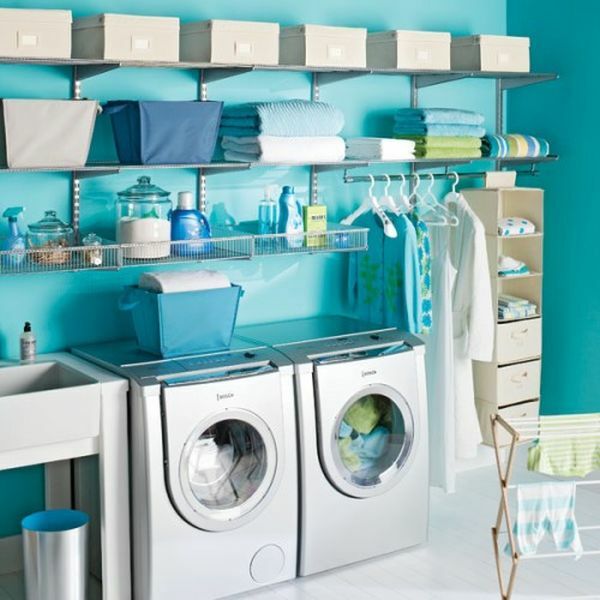 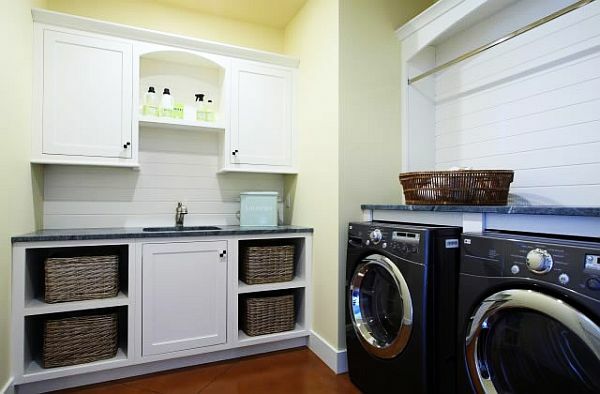 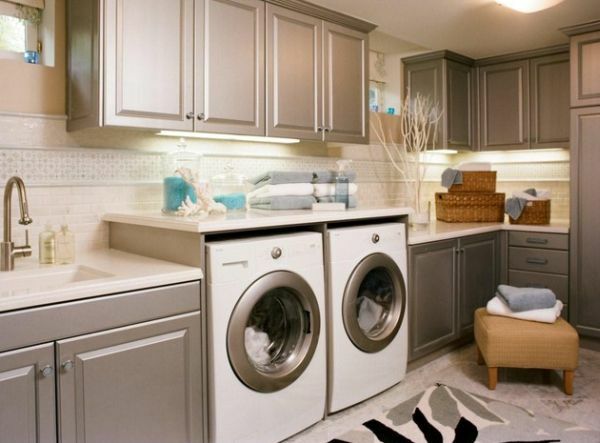 Creating the perfect laundry room is all about efficient use of space. 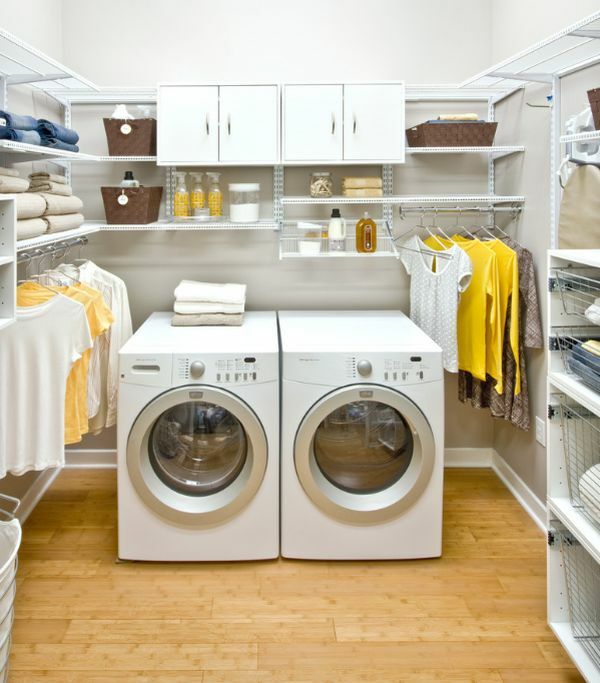 There is no point in just throwing a bunch of shelves together along with a few storage options if they do not fit the particular style and dimensions of your own laundry room. 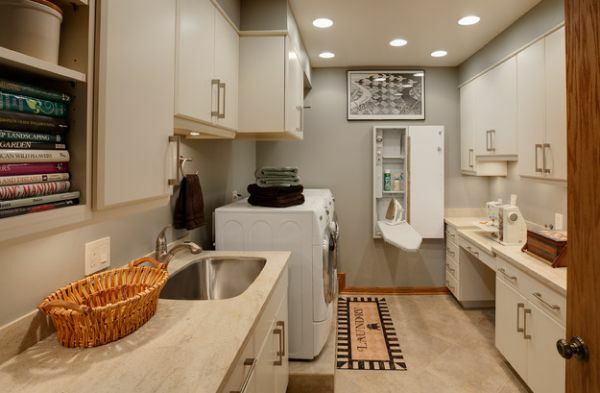 That is precisely why we have presented you with images of laundry rooms in their entirety wherever possible and this is exactly the approach you should take home as well. 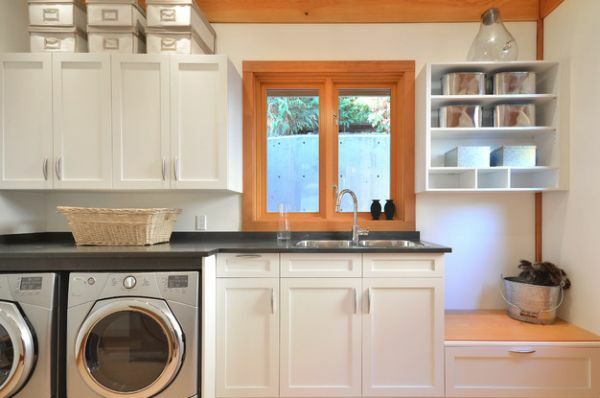 Since most laundry rooms are often compact areas, use the vertical room that is available, even as you combine a variety of shelving units. 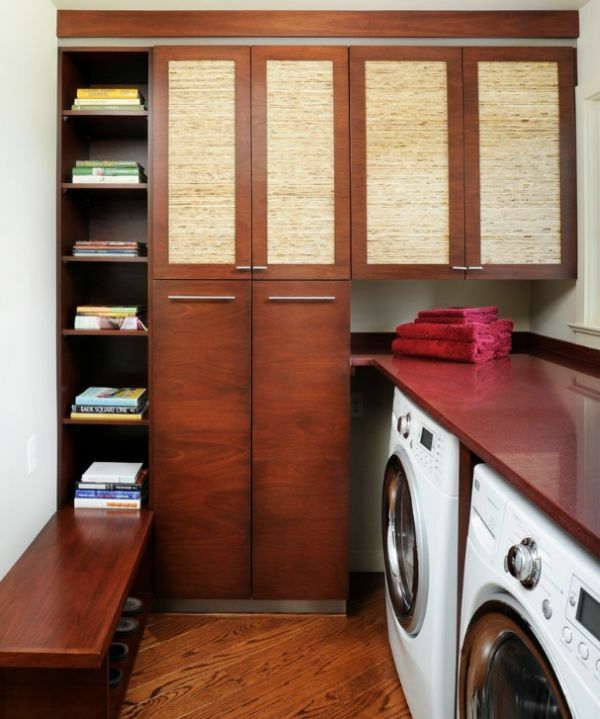 While closed shelves help tuck away all the mess and keep the room tidy, open floating shelves add a sense of airiness and buoyancy to the space. 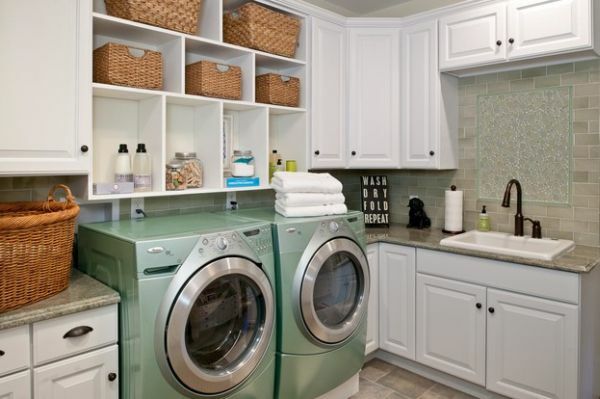 If your laundry room is sufficiently large, then load up on the closed shelves and just add a freestanding rack for storage. 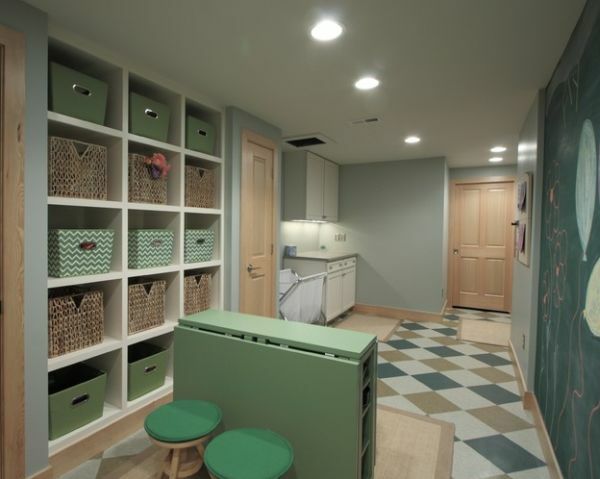 Shelves and storage baskets are not just there to add functionality. 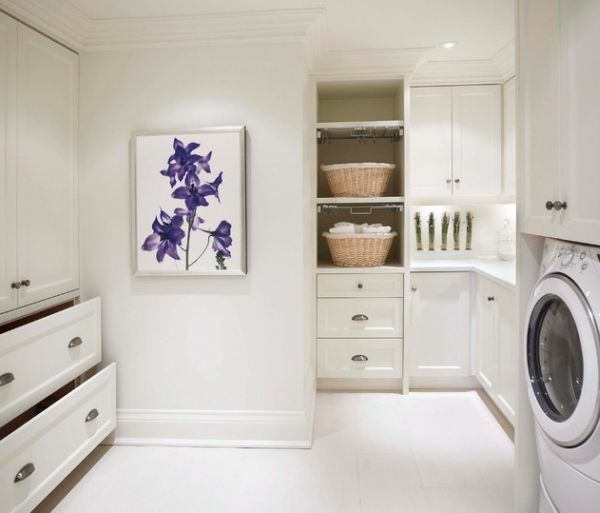 Form is an equally important part of design and hence bring in some aesthetic value with a bit of visual and textural contrast. 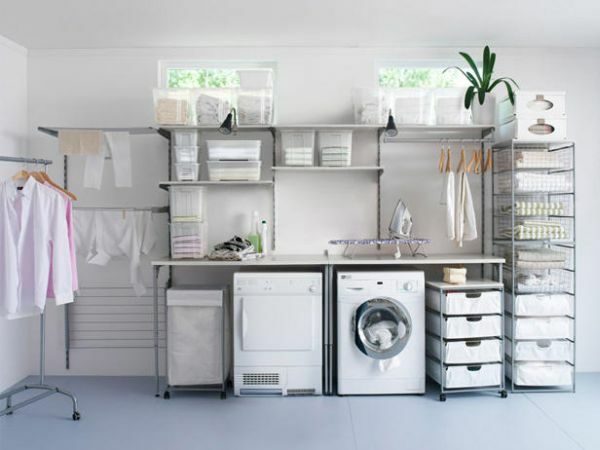 Add lovely black shelves with a hint of gloss if you have an all-white of neutral backdrop. 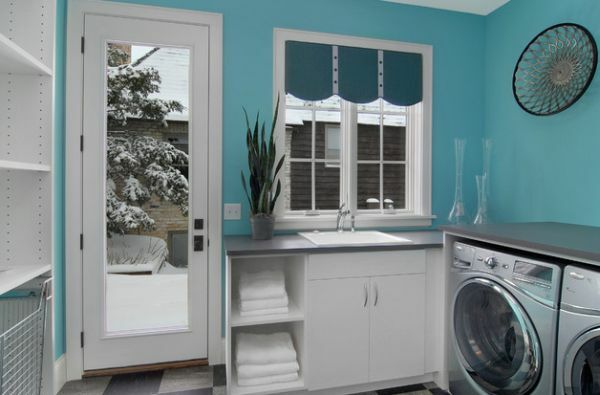 Refreshing combinations like blue and white also work brilliantly. 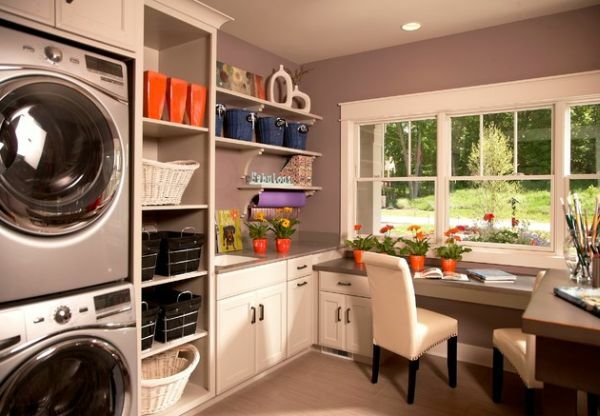 Remember that the laundry room is also an extension of your home and a fresh and vibrant atmosphere inside will enable you to get your work done more efficiently! 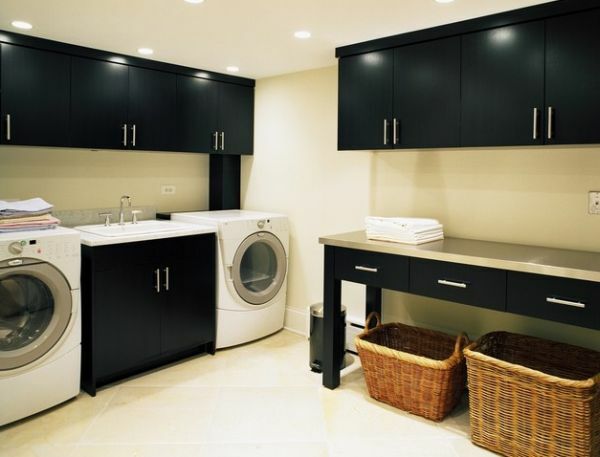 Gorgeous black cabinets steal the show here! 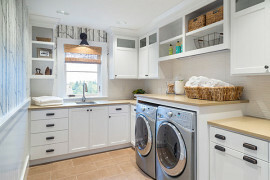 Beautifully stacked pretty baskets, labeled fabric bins, tilt-down drawers, slide-out shelves and pull-down hampers; you need a bit of everything in the laundry room. 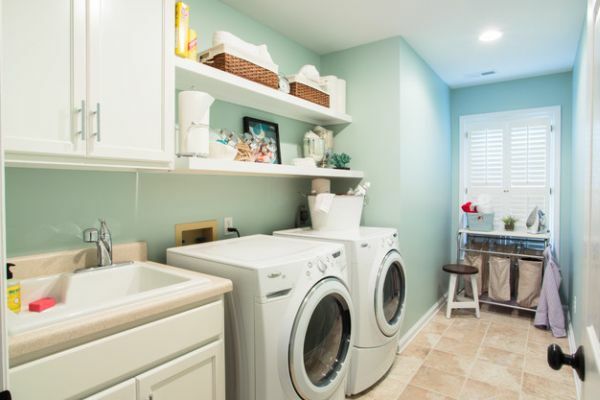 Add a couple of cool floating shelves and you can even create a lovely display as a couple of family photographs are neatly placed next to the wicker baskets. 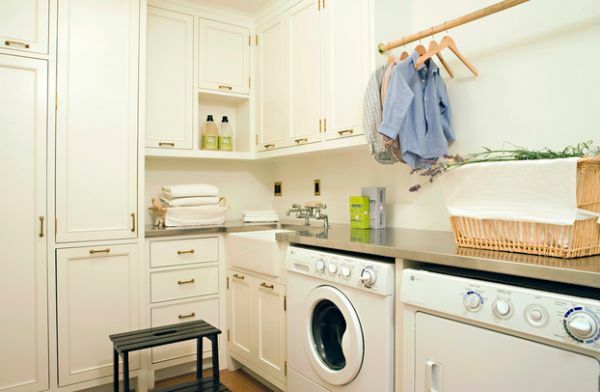 Do not opt for a monotonous look unless you are going for a semi-minimalist theme. 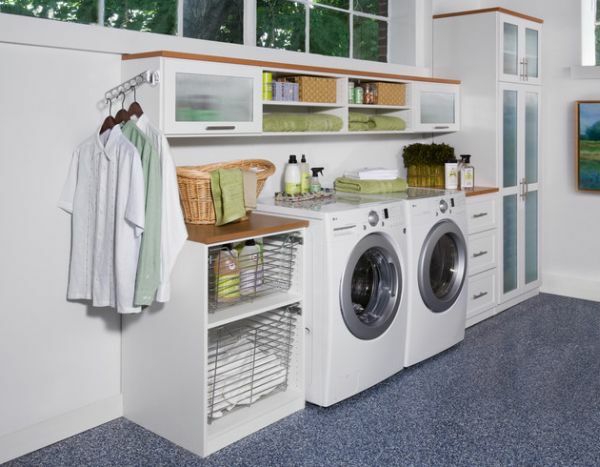 With pop-up ironing boards that slide out when needed now available, you can add one of these as well to complete your storage options. 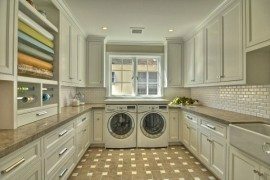 The perfect laundry room is one that serves the particular needs of your own family the best and each one of us has different space and task constraints. 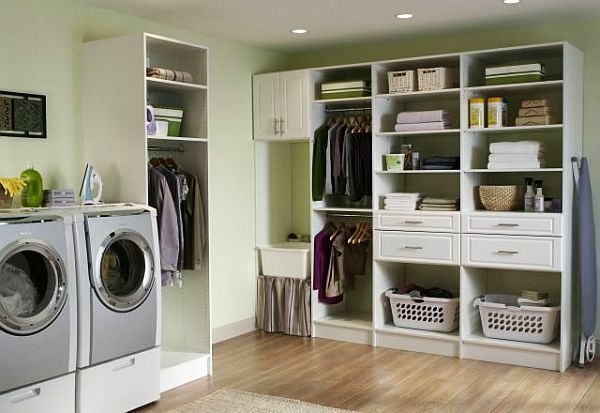 But, no matter what the design of the room is, always remember to stack up on the storage units. 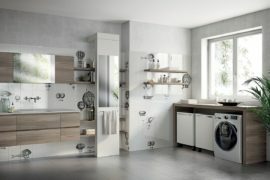 You simply cannot have enough of them! 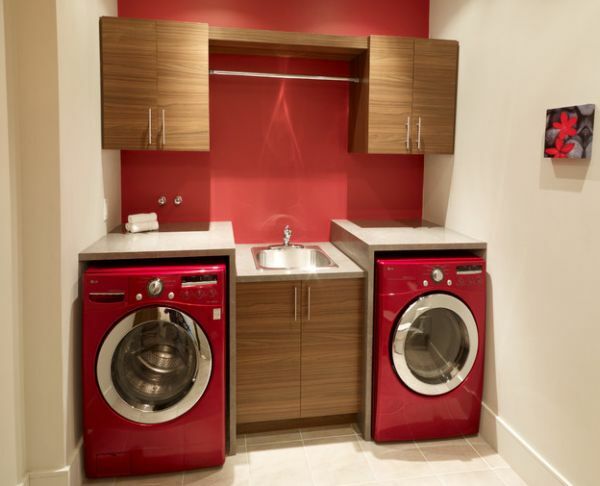 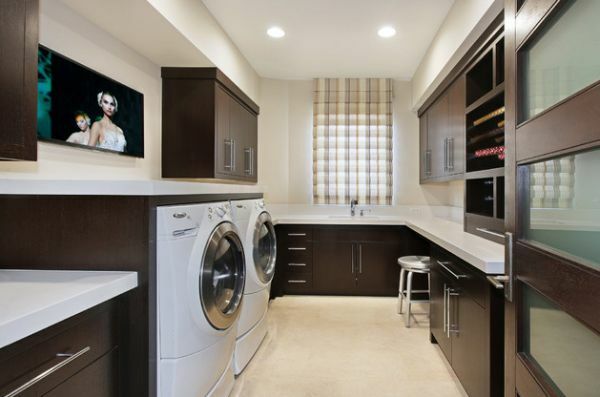 Contemporary laundry room comes with entertainment options as well! 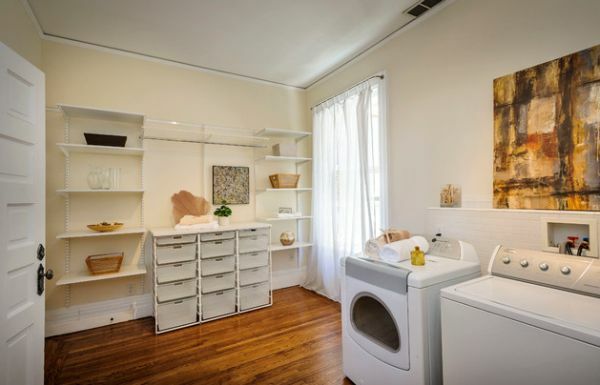 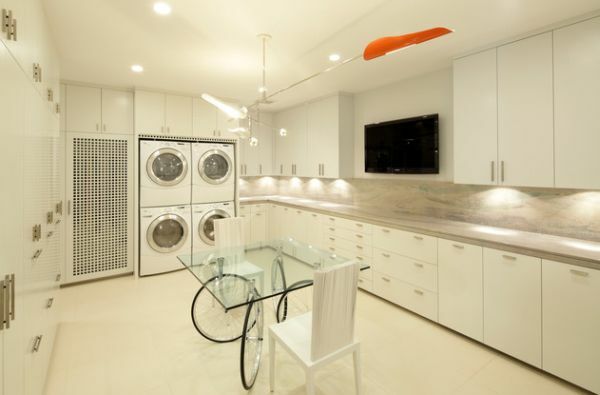 Sleek and stylish all-white contemporary laundry room!